Each Orc enemy gets +1 +1 and +1 . 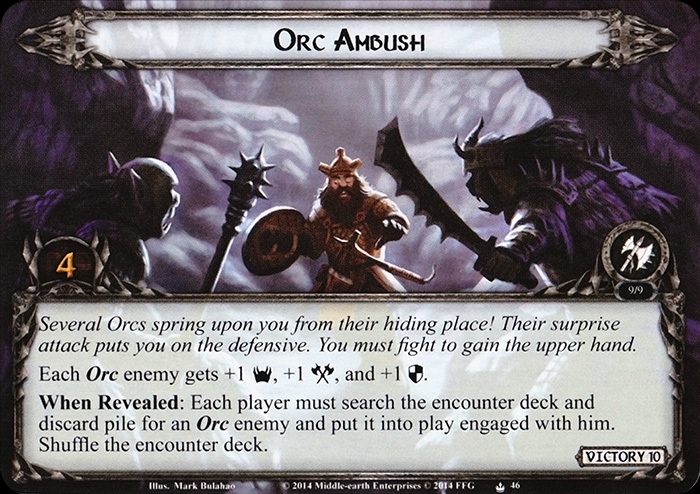 When Revealed: Each player must search the encounter deck and discard pile for an Orc enemy and put it into play engaged with him. Shuffle the encounter deck. Several Orcs spring upon you from their hiding place! Their surprise attack puts you on the defensive. You must fight to gain the upper hand.